Each one of these tiny stockings is only 25 stitches tall. 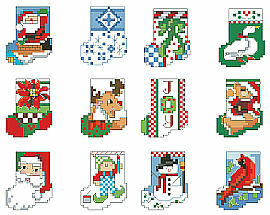 They will stitch up in a minute and look great adorning gifts or a tiny table top tree. 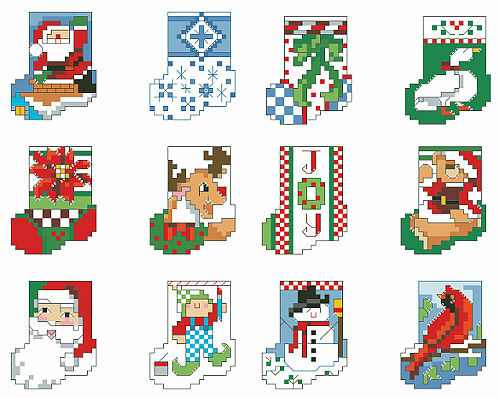 12 of the tiniest and cutest stockings to be found are by designer Linda Gillum.